Roid Technologies was established in 2015 with a vision to transform Digital Commerce in India. It has created innovative products for small & medium businesses to become a part of the Digital Commerce revolution within minutes. 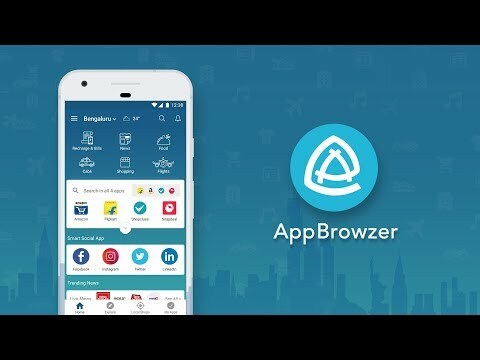 AppBrowzer, as the name suggests, works like an App Browser. It is one app for all your daily needs and gives instant access to several apps for online shopping, recharge mobile, postpaid mobile bill payment, booking cabs, movie tickets, flight booking, train booking, deals and coupons, news, ordering food, pay bills and more.